Residents of Jackson Heights, Corona and Jamaica struggle to find stores that offer healthy food, according to a new report published by a New York City nonprofit. The neighborhoods are deemed “food swamps” since the number of stores offering healthy food are vastly outnumbered by junk food outlets, according to a study published by Public Health Solutions on April 11. The study focused solely on Jackson Heights, Corona and Jamaica. Public Health Solutions, a 60-year-old New York City nonprofit that conducts research and provides health services, undertook the study since there is limited data available about food options in these areas, according to Sabrina Baronberg, senior director of food and nutrition programs. The study, which mapped out 3,661 businesses across the three neighborhoods during the summer and fall of 2014, found that there is only one supermarket for every five fast food and six corner stores. “We take for granted that healthy food options—even those as basic as supermarkets—are available and accessible; but this isn’t the reality for many New Yorkers,” said Lisa David, the organization’s president and CEO. The problem is compounded by the prevalence of small stores in these neighborhood, which often struggle to afford to keep fresh produce in stock, Baronberg said. These businesses often have limited space, and the owners must choose goods that are the most popular with the community. 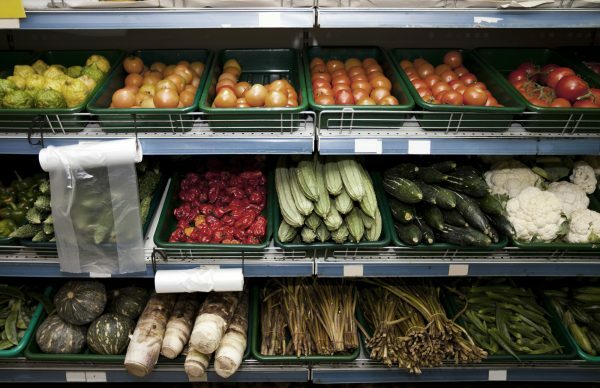 Fresh fruit and vegetables also require businesses to pay for expensive storage devices and to train employees to care for and stock the produce. Baronberg said that it is important for health programs to consider ways to help support businesses that are interested in providing healthy food options. Bodegas, for instance, can tap into the grab-and-go food option trend by offering cut-up fruits and vegetables. Public Health Solutions will be releasing another report that will look more closely at what the restaurants and stores are offering to get more granular data about what is available in the neighborhoods, Baronberg said. 40 to 50 in a building what does that mean? How big is the building? Also if people are poor, you don’t eat take out, seems to be a lot of those stores there. You, buy a piece of meat and some produce and make a soup, etc. and it will last a few days & it’s healthy also, it does not take much to do so.. This is a big non-story. Anyone with even basic economic literacy knows that merchants will sell what people buy. If there is no market, there is no sale. The customer determines what sells, NOT the merchant. We’re putting the horse before the cart here. 2) Only hopeless (not helpless) people actually do food shopping in bodegas. The corner bodega is for buying Lotto, loosies, a beer, $1 Arizona “tea” or an occasional roll of emergency TP. Totally agree , you hit the nail on the head with that one . fake news! several grocery stores in jackson heights which carry ethic foods and produce for cooking and at lower prices than major chain super markets. there are also many fast foods because its a busy commercial area, but residents don’t have to eat there, it’s their choice if want to eat junk. The report, available by clicking on the link, seems both outdated and lacking in detail. The report is from 2014 data. And, it seems all the authors did was count how many businesses of each type (grocery stores, bodegas, fruit stores and carts, fast food, hair/nail salons, empty stores, etc.) existed in each neighborhood in 2014. There is no accounting for population to food option, such as, for example, how many people each grocery store services (5,000:1?). It seems just stating that there are more fast food than groceries in a particular neighborhood means little about food options by itself. True, there are a lot of stores that sell produce, but a lot of it is not very fresh. You can buy fruit at a cheap price, but it’s often just hours away from rotting. So there is access, but the quality if often not there. This article is totally inaccurate. We have multiple grocery stores that offer fresh fruit and vegetables and an organic grocery store on the corner of 84th Street and 37th Avenue that sells organic food. It’s the study that is inaccurate, not the article. This is a load of bunk. Your point is what ? ? You should put “Anonymous ” on your head stone . Nobody knows who you are & nobody cares who you are . From birth to death remain anonymous. Calling yourself “The Truth” is also inaccurate. Your name, like this story and study is fake news. Anonymous wins when all you have is the ad hominem. This is simply not accurate, I live in Jackson Heights and I have never had an issue getting fresh produce. Are there a lot of bodegas? Yes, but there are plenty of regular supermarkets as well and along 37th Ave there are several fruit/vegetable stores. I totally agree , we have lots of fruit and vegetable markets offering foods from all over. yesterday I walked from 82nd st to 85th st and came home with strawberries, figs plums asparagus , tomatoes, mushrooms all fresh and delicious . From 74-90 st !